For many parents feeding their kids is a bit overwhelming, especially in the beginning. It’s really straight forward when they are babies, right? Milk, then baby food. Simple. Things start to get a little tricky when real food is introduced and the bottles and baby food are weened away. Those babes turn into toddlers and the eating transition can be challenging. 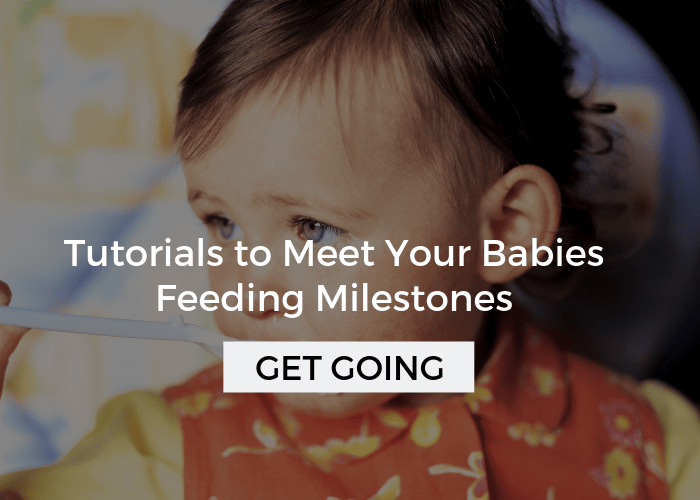 I’m not just talking about how to get them to start eating table foods, I’ve already covered that in: How to Transition Your Baby to Table Food. It’s all the other things that come along with this transition like when, what, and where to feed them…. when and how do they feed themselves… how long should they sit in a high chair… etc. Okay, if you weren’t overwhelmed already, I am probably overwhelming you now! 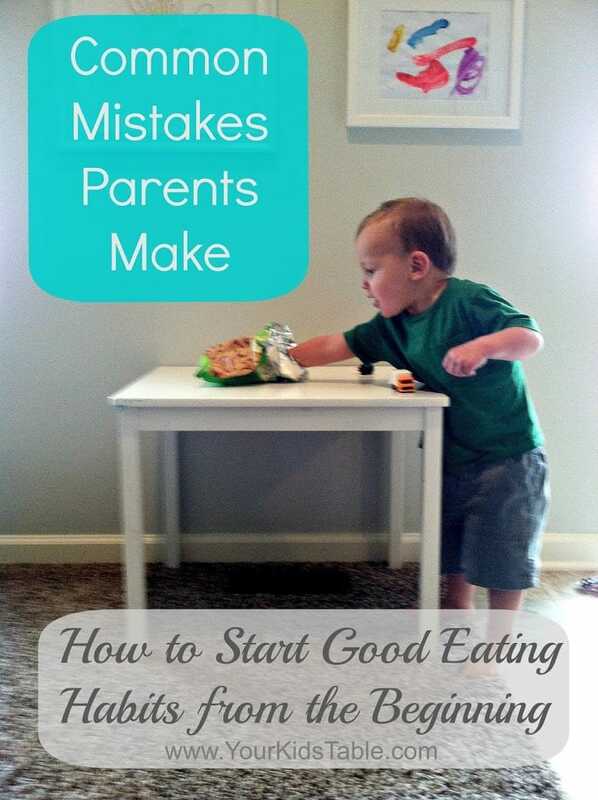 Obviously, I am going to walk you through the most common mistakes parents seem to make and how you can avoid them to get your kid’s eating started with a good foundation. 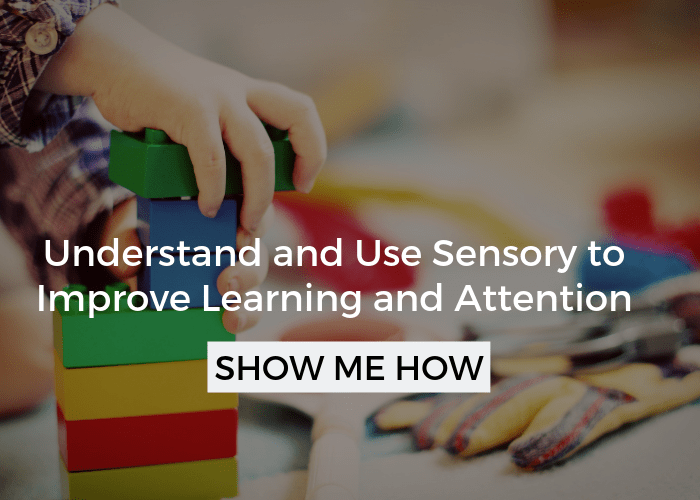 As an early intervention occupational therapist, these have been common problems I’ve helped parents with over and over again, and they are mostly simple things that the Pediatrician doesn’t have time to tell you or may not even know. Going to get this one out of the way first. Generally speaking babies should be starting to eat table foods around 8-9 months and should be done eating baby food by their first birthday. 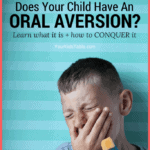 Of course there are exceptions to this, especially if your child has developmental delays. Each child is an individual and I do want you to follow their lead, BUT often I see parents sticking with baby food way too long because it is easier or THEY are uncomfortable exposing their child to more table foods. You may think, where is the harm in it? 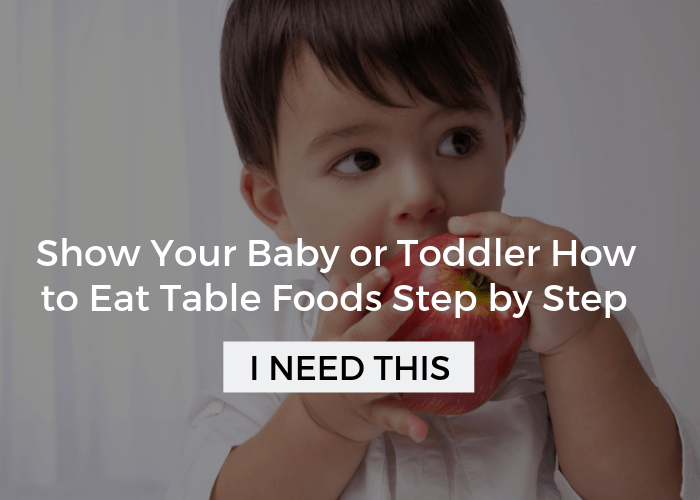 Although most kids will move onto table foods fairly easily, some can get stuck in a rut and refuse table foods if they are kept on baby food for too long. 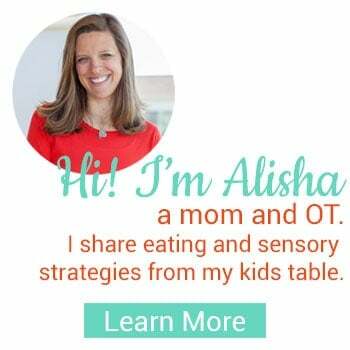 If you need more help with this transition check out part one and two of How to Transition Your Baby to Table Food. I know the big high chairs can be cumbersome in kitchens and the trays are annoying to keep cleaning, but these seats and their ability to confine, ahem, I mean keep you child safe are the best bet for a while. Babies have learned to associate eating with this chair and toddlers are notoriously distracted. If you try to have them eat at their own little table or at a big table before the age of 2.5 you are most likely going to be in a constant struggle just to keep them sitting at the table and their eating habits will surely suffer. There is nothing wrong with keeping your kid in a high chair or booster seat with a strap until they are 3. If you never stray from this they won’t ever know the difference, sitting in a high chair or booster is all they have ever know. Once you let them kneel on a big chair or don’t strap them into the booster, it could be very difficult to return to the original set up. This is my favorite strapped booster seat, I’ve used it for all my kiddos, until 3 years old and beyond really. Plus, its portable! Once you do move to strap-free eating situation, lay the ground rules quickly about staying seated. If you child insists on getting down, meal time is over for them. Make sure they understand this and follow through. Click here for more info on setting up a schedule and spacing meals apart. UPDATE: Check out 8 Steps to Keep Your Child Seated at Meals and to make sure your child is positioned correctly in the booster you are using you’ll definitely want to head over to The Best Seated Position. You’ll find helpful pictures and the highchairs and booster seats I use and recommend. I have to admit, this is probably my biggest pet peeve and the most prevalent error parents make. (Warning: stepping onto my soap box) Somehow our culture has evolved to constantly feeding our kids, most of the time we do this to pacify them. We hand them crackers or cookies in grocery stores, doctors offices, cars, parties, and even church to keep them quiet. It doesn’t always stop there, in the beginning it can be hard to find a schedule for eating that works and leaving food out all the time can seem logical, or meal times become stressful and schedules are abandoned because it seems easier. It may be easier in the short term, but in the long run it will become more difficult to get good eating habits established. When kids are given snacks endlessly, the message sent is that we don’t need to sit and eat together (yes, even if it is just a snack) and that we can eat whenever we want. 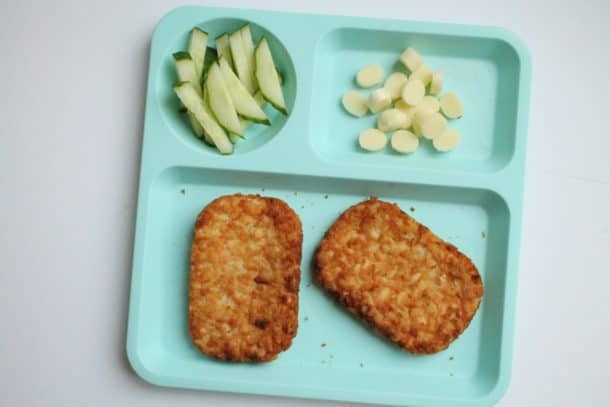 I think it is important to teach kids to respect meal time in its own right so they can develop healthy eating habits for life. Constant snacking totally defeats this, and as I have discussed previously, snacking usually ruins their appetite. In my day job (as an occupational therapist), I see huge changes in a child’s eating when the family moves to structured, spaced out meals. At home, I also see a dramatic difference in my kid’s eating when they have snacked too frequently. No toys at the table might seem obvious to some of you, especially parents with babies that aren’t really trying to pull this stunt yet. I assure you there will be a day when your toddler is insistent and will ultimately throw a tantrum just to have the truck or doll at the table with them. In the moment, it is very easy to give in because you are exhausted and don’t have the battle in you. However, this is a battle worth fighting, even though that toy may be keeping them in their chair it will mostly distract them from actually eating. Sometimes it helps to place the toy in a spot where a child can see it (sometimes that makes it worse!). Either way, once your kiddo knows that you mean business about no toys coming to the table, they will stop trying. *If your child is receiving feeding therapy, some therapeutic strategies employ the use of toys at meals. Eat with your kids, often when we start babes out on baby food they are on their own schedule and we focus just on feeding them at their own meal time. This should be short lived, if ever a scenario at all. If possible it is a great habit and benefit to the baby to eat meals together. As they start to eat multiple times a day and begin table foods, try to find a way to have your eating schedules coincide. Serving your kids solo means them missing out on a variety of social interactions, as well as the powerful tool of modeling. These mini-me’s just want to emulate us, and while we all know that they observe everything that we are doing, we often forget to apply that to eating. They notice that the broccoli is on our plate and what we like to eat. Not to oversimplify, but If your kid never sees you eating the broccoli, they might not eat it either. 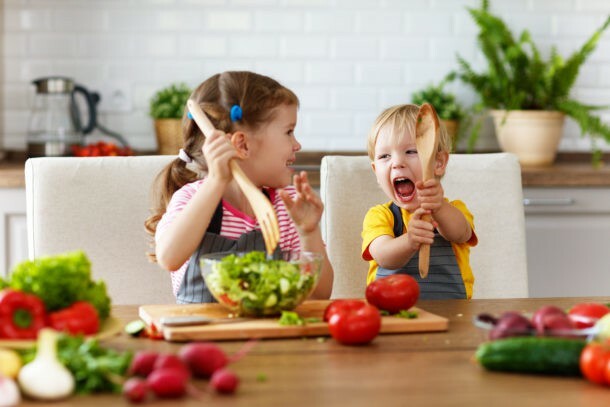 Please don’t fret if you have already begun some of these habits, my hope is that this information will empower you to make some changes that will lay the groundwork for good eating habits throughout your child’s life. Although it may take a little more time to undo some of what I discussed here, you can get back on track by slowly making changes. Pick one thing to focus on at a time and be patient! If your looking for more help on establishing good eating habits click here, here, and here. Follow me on facebook for quick tips and ideas. As always, I would love to hear from you! Leave a comment, let me know what you’re thinking or any questions you may have. My daughter is 11.5 months old and her schedule is roughly as below, i am writing to you as i feel something is wrong with her food and hence she doesn’t sleep well. Hi Divya, Check out this post on 11-14 month Feeding Schedules. It gives you some good tips and examples that I think will be helpful. I have a child (5 year old in April) and it feels like he’s become more and more pick. He was entirely breastfed until 6 months and then we started food, BLW. Some purée/soups sometimes. He liked it, but never ate much as we breastfed freely until 2 years old and then occationaly until 3. At one he kind of lost interest of food and sitting at the table as he started to walk. I know now I should have acted differently. But anyway. We always have family breakfast and dinner. Lunch at weekends can be a bit different. But he’s become picky with meat and fish that he used to love. Now he’s become more interested in the carb-swamp. Breads, pasta, potatoes, chips.. you know. And sausage. And eggwhites. Things with no taste. I have really tried not to pressure but probably have made it. We have never forced him. I have tried not to give him other things after or before meals. Only vegetables before dinner to snack on but cucumber and somethimes carrots are the only vegs he eats. And basil. He used to eat more. Anyway. Now I want to try the “this is what’s for dinner and nothing else”. But he might know that we have sausage and pasta leftovers in the fridge and of course prefers that. Or he wants egg whites or cheese. He now also can go to the fridge, open it and take what he wants. How to handle this. It feels so bad to be like a guard of the fridge or to deny him the leftovers/cheese/egg whites that we obviously think is ok food as we have it at home and to deny it when it is ready and leftovers should be eaten, right? But maybe cheese and egg whites can be seen as snack. And leftovers can be saved for leftover-day. I just feel it’s hard to deny him when those foods are existing and approved. And when he can get into the fridge himself. I wish there was a function to edit (or delete) my comment(s). This is okay but it happened so fast and I’m not sure I was done. My son is nine months, he doesn’t want me to feed him with the spoon (for pureed food) but then he never eats anything an just plays. With finger food/BLW, he sometimes will feed himself but max a few bites. Then he starts almost pretending to feed himself, or misses his mouth but claps because we have been trying the whole positive reinforcement even if he is just playing with or touching the food. It’s almost like that backfired. My concern is that he will only take a few bites and then closes his mouth or archea his back and doesn’t let us try to offer him more. He has eaten the most when I give him pieces of food while he plays but that’s not a good habit I feel. I am overwhelmed and don’t know how to get him to eat more. With everything I teach, there’s a way to make it your own and have it work with your own instincts. Serving leftovers at the next meal is usually something the child doesn’t want, but if you’re okay with it, it can work. I become more concerned with them seeing other foods, so one idea would be to serve another food along side it. I’d also be looking to set the environment up so that he knows you’re preparing the food, that he’s not getting out what he wants – if that makes sense! Our 16 month old recently started a new class at daycare, and they use the kiddie chairs and table for meals/snacks. I’m sure you can already guess where this is going…he’s now refusing his high chair at home. We have a keekaroo that we tried pulling up to the table without the tray and even that didn’t work because he was so mad about the strap (and since he was flailing around so much I wasn’t comfortable without the strap fastened). Any suggestions on how to handle when we can’t control the environment during the day? Thank you for all of the wonderful information that you provide! You’re so welcome! It can be hard when they do something different at school/daycare, but I think that if you’re consistent at home, he’ll eventually learn how to do different things in different locations. I have this post on how to stay seated for meals (and a free printable!) that I think will be helpful! Hi! Article is amazing! My almost 16 month old refuses to sit and eat (high chair or booster). We have to feed him as he plays. I now understand we have perpetuated the habit. How do I break it? I am afraid he is too young to send to bed hungry but maybe not? I am guessing the first week would be rough but something has to give. It’s a problem especially when we aren’t home for a meal. Thank you! It is going to take a little time. You have to start out having him sit for a small amount of time at first (just a minute or two) and then slowly build to more and more time. Consistency is the key. Keep working on it every day. I’m wondering what your thoughts are about my toddler wanting to play with things on the table (vitamins, our plates and utensils, etc). They’re not toys persay but it amounts to the same effect as him bringing a toy to the table. He’s very distracted if we give it to him, but throws a fit if we don’t. We could clear away some things but clearing our plates/bowls/utensils would amount to him eating alone. I’d say if it’s a huge distraction that I’d steer away from it, but you don’t have to do that cold turkey. It will take a few days/weeks but you could slowly wean him away from relying on them so much. I love your thought of taking away the other distractions. This was so helpful to me, I can see now that I am making some mistakes with mealtime. My daughter is 16 months and she is still eating some pureed foods. I have been making her food so I have tried to make it thicker and with chunks so there is more to chew. She has only 4 teeth and she gags and chokes a lot on most foods, especially meats. I have tried to help her so she knows she needs to chew her foods but it doesn’t always work and as soon as she gags or chokes she doesn’t want it anymore. Any recommendations on what to feed her or how to prepare certain foods? Not to be a buzz kill, but I disagree with basically all of these. I don’t think any of these are “bad habits”, I think they are simply choices. I did not introduce baby food until 7 months and table food until about 1 year. I had no issues transitioning. I did not purree all of her food though, so that may have helped. I wanted her to only eat fruits and vegtables, so she did for the first year. We also never used a high chair. She ate where we ate. Sometimes at the table, sometimes on the couch, wherever. This has never been a problem for us either. When she started daycare she was able to sit with everyone at a table. They don’t have high chairs. I think it helps that we usually eat together so she stays put pretty well and is not distracted. On the weekends though, when our schedule is more fluid, I just feed her when she asks. So sometimes she is just snacking. This does not bother me one bit. I am not concerned about where she eats or how she eats, I care about what she eats. If I leave carrots and grapes out, I don’t mind if she picks at them all day. I am a big believer in letting kids guide their appetite. Who am I to say she’s not hungry? Anyhow, again, I am not saying that everyone has to do it like me, but really meal time is no big deal for me. I just care that shes healthy. I don’t think that’s a mistake. Thank you for some good advice. I have 2 issues with my 15 month son. The first is that he eats constantly and never stops so I never know if he is full or not. He eats every meal and snacks too. I can’t eat anything without him crying to have some. During meals he will just keep eating and asking for food, eating way more than you would expect. It’s like he doesn’t know to stop when he’s full so I never know how much to give and when to stop giving it to him. Second, he eats way too fast and I don’t know how to get him to slow down. He shoves so much in his mouth at one time and won’t slow down. He isn’t over weight, he is at the 50th percentile. He is just a bottomless pit and I am afraid of creating future bad habits by him eating so much. Do you have any advice? Hi Dana! This is actually a good problem to have, ha! Lots of interesting ideas here. I agree about high chairs and when kids are used to them, it means they can be more included in family meals. So thankful for your tips and explanations! I agree, it’s really very important to sit and eat together with all the family. Exactly as you said, our babies just want to emulate us. Our son is 2 years old and when we’re sitting and eating together, he wants to eat everything that his father is eating. Sometimes there is a problem when my husband wants something to eat that is forbidden to a baby. Usually I asks my husband to wait a little bit. What advice can you give on that? I can’t believe I didn’t realize toys are a slippery slope. It makes total sense but we already did it! Starting at about 9 months old she would only eat when distracted and just like that, we have a little basket of mostly small books and a minnie mouse that she likes next to her chair. Lately, just as she turned one, she is just even more difficult to feed. She might eat by herself a few selected pieces of what she knows she likes, like chicken, peas and berries but then refusing to any spoon whatsoever. If I give her stuff that she likes, she usually eats it but the doctor told us to keep trying to give her a gamut of foods which I get her to try (sometime she won’t take them and spit them out) by feeding her with a spoon or with my hand. Things have been escalating. Lately, she doesn’t eat more than 5 pieces of food (even the ones that she likes) unless distracted. I wouldn’t mind letting her be in her chair but she starts throwing all the food to the floor. On the other hand, if distracted with toys, she opens her mouth and will have significantly more food. Does this mean that she is or not hungry? should I not give her food unless she asks for it? In addition, I don’t mind taking the toys out but she will probably fuss about anything on the dining table, pointing at anything she sees and then screaming if not given attention (we eat as a family together). At the end, we all end up stressed out during meals, and if with no toys, probably with a hungry kid as well. What can we do differently? These are great questions Liliana, and you are definitely in a bit of a catch 22 here, and I’ve worked with a lot of kids in similar spots. I hope you don’t mind but I’d like to direct you to some further reading because I think we are just scraping the tip of the iceburg here. I think it be really helpful to read When Picky Eating has Gone Too Far and 5 Reasons Kids Don’t Eat. Once you’ve read those, let me know if you have some new insights about your daughter- I think she has some underlying challenges that need addressed. 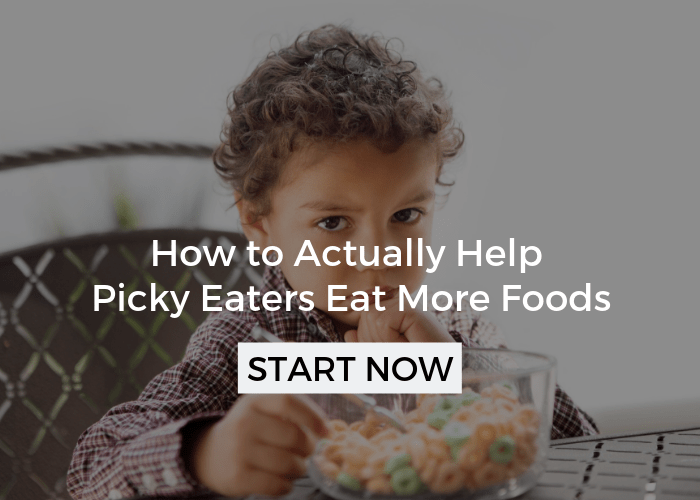 Then, I want you take a look at The Best Picky Eating Strategy and How to Stop Distractions. Please don’t feel like you have to read this all at once- it can be a lot to take in, but make it a priority because there are a lot of elements that need to come in here. All of these articles are really going to be explaining why this happening which is really important to understand so you can move forward. I think these articles answer many of your questions, but I have a feeling you’ll be looking for some specific steps, please reach back out, I totally get it and addressing now will be much better than when she’s older. Couldn’t agree more, and this is exactly what we have always done in our family. Our daughter went right along with our example. Our son, not so much. So we’re going back to the drawing board, offering him plenty of grazing opportunities because it is that or starvation. Each child is so different. And capable of turning upside down even the best laid plans. Omg i wish i read your blog long time ago. I pretty much screwed up on most of the things you listed. My 20 month old doesn’t eat meals..so we got into the habit of giving him snacks throughout the day. He still gets 2 8oz bottle of whole milk during the day. Breakfast id say is ok…he’ll eat bread, yogurt,or fruits. And then usually 2 hours after that ill give him the bottle, then nap. But lunch/dinner…he doesnt eat meals. Im thinking maybe i should stop giving him snacks? The 2nd bottle we give it to him before bed. Its so stressful feeding him. I do try to offer meals but he just refused it. Hes in the lowest percentile for weigh/height since birth but still healthy as per our pedia. Hope you have some tips/advice for me!!!! Thank you!!! My 11 month old won’t eat unless he’s distracted. He used to be a lot better about eating, but now he just points at everything and wants to hold something while he eats. How do I get him to change this habit when he literally will not take a bite unless he has whatever he’s pointing to? Thanks for your help! Is he growing on a curve? He may be small but if he is growing well then he is okay. I know it gives you piece of mind, but as long at the doctor isn’t concerned I wouldn’t worry. Offer to have him come back in a few minutes and make sure you are spacing your meals out with no grazing so he is really picky. I know its hard but this is really common toddler behavior. Search the menu bar for a new post I wrote on toddler eating with some more tips. Lastly, if he wants down try to redirect him back to the table in 5 more minutes. Meaning let him get down and allow him a few minutes to change his mind. Thanks for all this great information. We have a 15 month old who doesn’t want to sit in her high chair anymore. She refuses to eat and then when we take her down and she’s able to walk around..she’ll stop by me to eat her dinner in bites. I’m wondering if we should get her into a booster seat with straps so she’s at the table with us..? She did great in her chair till about a month ago and now she hates being confined in it. Also when she gets home from daycare I know I’m making a huge mistake handing her snacks that takes and walks around eating and juice..I’m going to stop that so she’ll have an appetite for dinner. Thoughts? Yup, get her in the chair! I know it’s hard, but it is soo important! Stop snacking and using a booster is fine, but keep her strapped. Its normal for them to get down at this age, but only allow food when she is seated. You may have some tantrums, that is okay, she is learning you are serious about this and you are teaching her how to act at meals so she can eat safely and well. Let me know how it goes! My 8 month old refuses his chair (mainly at his dinner time around 5pm) for what I thought was from being tired but perhaps it is due to some bad habits we have started as mentioned in your post such as snacking and eating elsewhere (i.e. in his pram on the go). The reason we provide snacks is because we were told to a few months back when my son wasn’t gaining weight (he doesnt really like milk so we were told to up his calorie intake by snacking but now i think it may have started the high chair problems).We also have lunch outside in his pram or on a picnic mat as we like to take him outside to play. We sometimes do this for brekky too. Could this be why he is refusing the high chair and if so, are you suggesting we always come home for meal times in his chair and stop the snacks (unless he is clearly hungry)? We always eat at the table with him and he feeds himself as he hates to be spoon fed so I can only imagine his problem is because he doesnt eat in his chair for other meal times…??? Hi! Your advice is so helpful! I wondered if you could help me on another issue. My daughter (21 months) eats really well (90th percentile which is steady since birth) however she still wakes frequently in the night for milk (she has about 4 bottles of 8floz each at night!!) This seems way too much but she won’t have water or a substitute. What can I do? Also your advice in relation to toys at the table is really helpful! Would you suggest cold turkey on the iPad at the table or gradually stop it? Thank you so much for all your helpful advice! Oh my goodness, do you mean 32oz total at night? I would start to drastically cut that down and I would talk to her doctor if it is that much. THere may be something going on with her metabolism if she is drinking that much at night and eating well during the day. In terms of the ipad, it depends on what your comfort level is. There will be so upset when you don’t offer it and you’ll need to be able to handle that if you go cold turkey. If that is too much slowly transition away. By the way, you are very welcome, glad this is helpful to you! Hi! I would appreciate any advice you could give me. (I have read many of the pages throughout your website and printed/often use your helpful list of table foods.) My 15 month old girl has slowly made the transition to table foods, but is still eating pureed baby food as probably half her food intake, with maybe 24 oz of milk during the day. She’s about at the 40th percentile for height and weight, which is great after being 10th percentile at birth. The main issue we have with feeding her is that she seems to actually NEED toys to distract her enough to eat when we are spoon-feeding her, so I’m conflicted about your rule of no toys at the table! She needs to have something to do with her hands. Is this weird?! She does better when feeding herself finger foods, and we’ve started letting her feed herself with a spoon when it’s thicker foods like yogurt, let her have a 2nd spoon in addition to mine, etc. Should we just let her totally take over and take away the toys? (Not “toys” so much as empty baby food containers she can put together, other random objects, etc.) I worry that she won’t eat enough if we aren’t spoon-feeding her, but I also worry that we’re making her somehow overeat BY distracting her, if that makes sense. My husband has started playing baby videos on the ipad to distract her while he feeds her, which is a habit I’d like to stop… but mealtimes are becoming a struggle, she’ll eat this way, and he says “but look how much she ate!” and I can’t argue about that. And by “how much” he means maybe 2 4 oz containers of food. Is this too much at one sitting? These are all great questions and you are not alone! I understand your husbands thinking, but you are may be over feeding her, and the calories she is getting from baby food aren’t huge. It is not weird at all and is quite common for me to see. It is totally fine to still feed her, but she can also try to feed herself too. I would strongly recommend taking the ipad away, it is a very slippery slope. I can’t tell you have many kids I treat that are 3, 4, or older and can’t eat without distraction. It becomes a huge source of stress for the family, and often the skills kids need to chew and manipulate food are under developed as a result. The reason she is eating more is because she isn’t really paying attention to what she is doing, and because of that she isn’t learning how to eat or modulate her appetite. Toddlers need less calories than they did even a few months ago because they aren’t growing at the same rate. Is she eating a variety of table foods? How much table foods will she eat at a meal? I can give you some more direction with those answers.I know this is a hard time, my third is 15 months too! Sorry for the late reply… do you still need help? How old is he? No worries. he is 2.5. we have stopped feeding him as suggested by a child psychologist. so now he feeds himself but he never finishes a meal. he’ll snack on stuff throughout the day but im sure he’s not full as he often runs to the fridge. he is also sticky about what he snacks on. he wont even finish a sandwich, which we let him cut into different shapes to make it fun, he’ll just have a few bites and leave it. That’s great! I would strongly recommend getting him on a schedule, the way I describe in this post, it can make all the difference. Best of luck! Hi! We follow a strict routine for naps and meals (we have twins!) so it helps save our sanity. We feed three meals a day with three bottles of formula and two snacks (one before lunch and one before dinner/mid afternoon). Our pediatrician suggested this schedule and has been great with helping us with feeding. MY girls eat everything and have the food repertoire of toddlers BUT i was just wondering if two snacks a day aren’t ideal? I find they are super hungry at those two times even after eating full meals for breakfast, lunch and dinner. We have a set time for snacks and don’t allow grazing so Iam hoping that i am doing it right! 🙂 Also, we do try to eat with them as much as possible (lunch and breakfast) and was wondering also when you recommend pushing high chair up to table for them to eat? Wow! You are doing great. You can definitely play around with the schedule and find what works for you. It is most important that they not graze and that they have a decent space (at least 2 hours) in between meals. You are doing that! You can start by pushing their high chairs up to the table now! Would you then suggest 4 meals together throughout the day and no snacks inbetween? Yes, you’ll want to treat your snacks more like meals. Depending on the timing of naps it may end up being 5 times. Make sure your snacks have a carb, protein, and fruit/veggie. I feel like I’m guilty of several of these items on the list. My husband and I both work full-time and I have an 8 y/o step-son who is with us full-time. Because my husband has a long commute and is gone before breakfast and home just before my 1 y/o’s bedtime, I often times feed him dinner alone while I make dinner for the rest of us and then the three of us eat after he is in bed at 6:30/7. I’ve been having trouble getting him to eat any finger foods that aren’t bread, crackers, or fruit, so I’ve been giving him squeeze packs as a way to get veggies in him. What is your take on those? Is it basically the same as continuing baby food? I also just read your article on transitioning from the bottle and now I’m thinking I’ve been giving him too many fluids between meals as well and perhaps this is why he is also starting to refuse foods he has liked in the past and throws most things off his high chair tray? Oh Sara, I don’t want you to feel guilty. Everyone’s circumstances are different and sometimes you have have to make the best of difficult schedules. I would say to keep doing what you are doing, fitting in family meals when you can. I don’t love the squeeze pouches but they do have their place. I would try not to rely on them too heavily. I would really space the meals as I suggested, that can make a huge difference. Also, see how to transition to table foods under the popular posts in the side bar or under the article index in menu bar. Let me know if you need more help! Thank you so much for taking the time to reply! I’ve cut back on the milk bottles and only send one squeeze pack to daycare now instead of two and I’ve already seen an improvement, and so have they. Next step will be to cut that one out too and just use them for when we are on the go….they are so convenient! 🙂 Your blog has been so informative for me, thank you! My baby girl is 11 months old. She is very active and cannot sit still. I need to distract her with toys or some cartoons to watch on in order to feed her, else she will refuse to open her mouth and crying loud to get off the highchair. Is that fine if I let her continue watching the cartoons which I feed her? She will only eat in that way. I would avoid it if you can- try to wean her away from it. If you haven’t already read my eating basics in the menu bar, I would recommend it. Make sure you are following most of those strategies- especially spacing meals apart, she may not be hungry enough. Ideally, we want kids to eat without distractions but do you best and take baby steps to move away from it. Good luck! Do you have any advice on weaning night feedings? I nurse our 13 month old before she goes down at night, and then she usually wakes once in the middle of the night for another nursing session. She seems to be truly hungry, and not just nursing for comfort. We’ve been trying to get as much food into her during the day as possible so that she won’t wake hungry in the middle of the night, but that means doing whatever it takes to get her to eat, breaking some of the rules you have here. We fear that if she doesn’t eat much during the day, she’ll wake up multiple times :(. First, only you can decide what works for your family and that may mean bending the rules a little here and there. I would encourage you to not get “stuck” feeding in between meals, etc. Always try to be moving toward following the points I talked about. I know when they are this little it may seem like it isn’t a big deal, but it is. Allowing them to eat in between meals really will make them eat less overall. I would also try a snack right before bed, maybe a nutritious smoothie to fill up her belly? Sometimes you just have to take the leap and keep your fingers crossed as you sleep, she might surprise you (assuming she ate well that day). I would start slowly with the above steps. I would also recommend getting a feeding a eval or setting up a consult to help you determine what the underlying issues are. Also, peruse the article index, look for exploring food and expanding variety articles. Please let me know if I can be more help. The one about eating WITH your children, is I think the most effective. We eat with our kids, and while they don’t always eat much, they gladly eat everything they see us eating – well, with the exception of beans! Kids are natural copycats, give them a good example to follow. That’s awesome! That is probably the most difficult for some families, but once you get into the habit it is a way of life. Thank you so much for your blog. I’m having some feeding issues and I wondered if you had any insight. I’m the nanny to a 12 month old boy. I try to do the positive things you suggest, such as having a routine and schedule, limiting snacking, eating in a high chair with no toys, etc. He never eats with his parents, and dinner isn’t something I can control since I’m typically off work by then, but I do try to sit down and eat my lunch while he eats his. I don’t know what I can do to work on his feeding issues. It’s not that he has issues with specific types of food, it’s that he will refuse food that he likes. Just three days ago I cut up a kiwi for him and he devoured it. Today I did the exact same thing and he wouldn’t touch it. Muffin, same. I try to have patience, but he will refuse food after food that I know he likes until I run out of options. His mom just gives in and gives him cheerios. The one thing that he seldom refuses is yogurt, so today I did what I normally do to get the fruit into him, and put a small piece of kiwi in each bite of yogurt. After several bites like this he would accept just the plain kiwi on the spoon no problem, but still wouldn’t eat it himself. After reading your “no force feeding rule” I’ve resolved not to do it anymore (I really already knew I shouldn’t do it, but it’s just so difficult! ), but in the past when he would refuse to touch food that I knew he liked, I would stick a piece in his mouth a few times, and once he realized what it was he would usually go ahead and start eating it. I try to have his preferred foods at meals when offering new things, but he refuses food he loves so often that I don’t know what his preferred foods are! What a wonderful nanny you are to be seeking out help! I’m sorry my response is so late! This is a tricky situation because your not the parent. I would really make sure that you aren’t allowing any snacking at all- he needs to be hungry. Also, nothing but water in between his meals, that can fill him up to. Does he like messy play? I would offer 3-5 foods at a meal. If he doesn’t eat then I would let him get out and try again at the next meal. But, before you get to that point, play with the food a little, be real silly and see if you can get him to imitate. I have lots of articles on picky eaters that may be helpful, check the article index in the menu bar! Let me know how it goes! Ties in with another poster. Our preemie 7.5 month old basically never eats with us. Weekdays she has early morning (7 am) and night (7 pm) bottles at home but breakfast (9 am) lunch (12:30 pm) and dinner (4:30 pm) when she has bottle and puree is at daycare. Should we be concerned that she eats occasionally only with me on Saturdays and with both of us on Sundays? It is okay while they are this young, it can be really hard to make the schedules coincide. However, over the next few months I would strive to eat together as often as possible, especially once she is starting the transition to table foods. Once they are a year old it would be ideal (I know not always possible) to be eating most of your meals together. Thanks Alisha! She is just over 6 months adjusted and delayed in gross motor although otherwise healthy so sometimes it’s hard to know what age guideline we should follow at what time. She has a significant tongue thrust since she came home from NICU and we are (still) in line to see an SLP to try to fix that before we go to table food. Love your blog! Thank you! You said the key word, “guidelines”, they are just that. Generally, speaking use her adjusted age as a “guideline”, knowing that there is a lot of room for variability. Sounds like she is doing great, especially having a proactive momma like you! Let me know if I can be of any more help in the future. I made your first three mistakes when I was a new mom – wish I had read your article back then! Great tips! Thanks Maryanne, so glad you stopped by! Mary, it sounds like you guys are off to a great start- I definitely don’t want to stress you out about what is working for your family! I think that it will evolve over time and when you can I would try to steer it in the direction of eating together. For now, try to eat whatever meals you can together, especially on the weekends or maybe breakfasts? Maybe a couple times a week, eat a small dinner with each of your guys! Okay, we definitely need to work on a few of these issues-specifically the constant snacking. My 2.5yo is a grazer. She’s also quite small and in general not a good eater (picky, and seemingly exists on air alone some days). So, when she does ask for a snack, I often don’t want to deny her the opportunity to get calories in her. How do you recommend breaking the habit with a kiddo who prefers snacks over meals? And also, in regards to the eating alone rule, I will usually sit down with her to eat, but she can spend 45 minutes at the breakfast table and I don’t have that kind of time in the morning. So, after about 5-10 minutes, I get up to clean up/makes lunch/etc. Does this still count as eating together? Great questions, Heather. First, I know it is unrealistic to eat every meal with your child for the entirety of the meal. Do the best you can, and try to make at least one meal a day the priority. As for the snacking, yes, it is a hard habit to break, but you can do it slowly. It doesn’t have to be a cold turkey kind of thing. 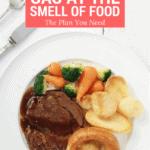 You want to space meals 2.5-3 hrs apart from the start of one meal to the start of the next. Start slowly, try to hold off snacking for an hour, then 1.5 hours and so on. Tell her if she asks to eat that it isn’t time and that lunch or whatever meal/snack will be soon. I know that is scary, but you will soon see her starting to eat more when she does sit down to eat! Thank you for the reply. I like the idea of slowly holding off snacking instead of cutting it out cold turkey because I know there are going to be some BIG feelings that come out when she can’t just snack all day. I will try this.. thanks again! That’s great! I hear you- I am often tempted to give in at times too! Thank you so much for the share! Thank you! It is wonderful to hear from another OT, as I really value your opinion!